IMAC brings us 106190/445011 PENNY PLAIN. As well as a little black dress, every woman needs a little black pump in her wardrobe and this stylish shoe from IMAC with a small wedge heel and elegant rounded toe ticks all the boxes for style and comfort. 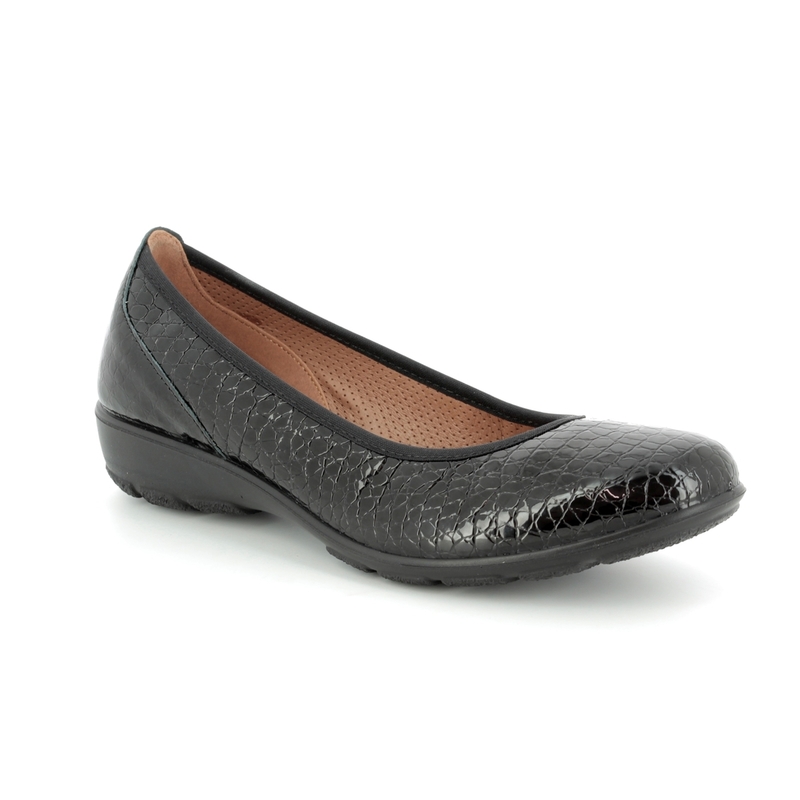 The upper is made from patent leather which has been embossed with a pattern to create a crocodile skin design. The elasticated fabric stitched around the topline of the shoe helps the shoe remain more securely on the foot while wearing. 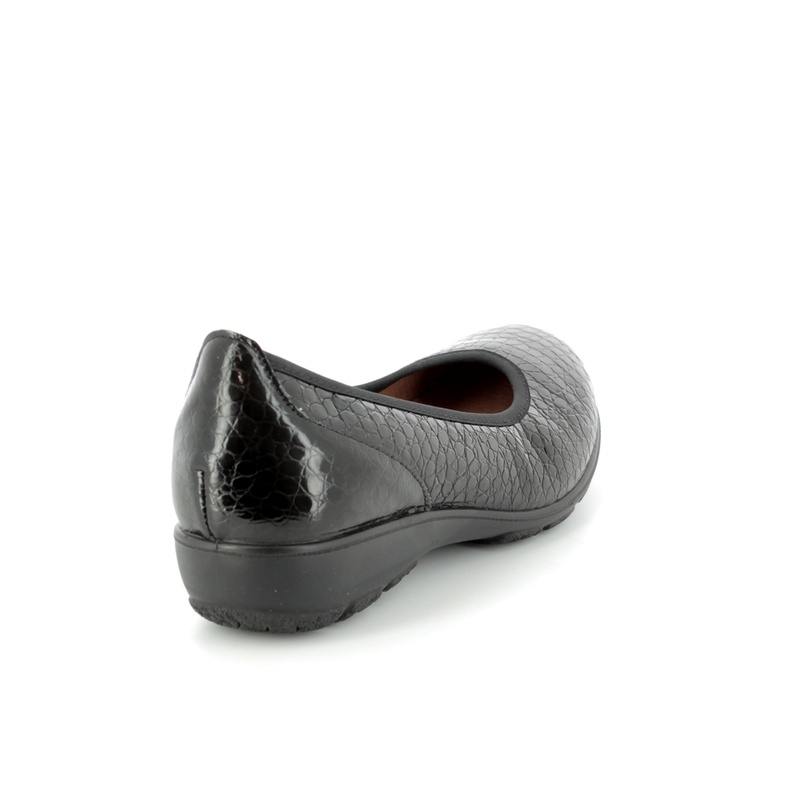 There is a leather insole and a leather lining to the heel while the remainder of the lining is a textile. The coordinating sole is made of PU which is light and flexible reducing fatigue and increasing comfort while you wear these shoes. These shoes make the perfect alternative to high heels for an evening function or could be worn to work for a classically chic look. Buy your IMAC women's pumps from Begg Shoes, an official IMAC stockist.